Wow amazing. I love it. Beautiful piece of art ! Your images are amazing and what an insightful read; we don’t get to read nearly often enough about Middle Eastern cities such as Beirut. This is wonderful! Would you mind sharing the love, and reading through an article I wrote: My Lebanon, My Love at http://beautifulfillment.com/2015/04/15/my-lebanon-my-love/ – I hope you’ll find it an inspiration as well. What a beautiful city! Arte de rua …um mode de expressão moderno …. Respect for people who still love their hometowns. Lots of people usually just leave. I love street-art and I have high appreciation of the role of street-art in interaction with “art consumers”. Street art is the only “true” artistic movement today. 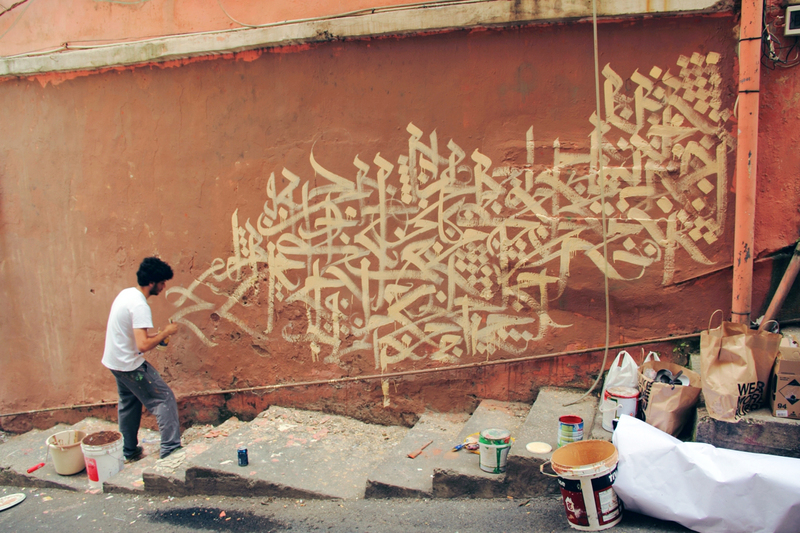 I like “Caligraffiti”, the term often referred to the works of El-Seed, a Tunisian born Franco-Tunisian artist. Halwani is also great! I love Beyrouth and Fayruz is a true ambassadrice of the Levantine music – so the idea is great. En general, I believe the City of Beyrouth may suggest a contest for young artists and / or make a contract to engage Halwani to embellish numerous other empty walls, like the Mairie of the 13th Arrondissement did with Mr C-215, one of the greatest artists today! Street art, if done well, only makes a city better in my opinion. I wouldn’t wanna see every wall taken up but the visuals and the often political or emotional messages are deep. It’s a real voice. Definitely the most exciting art in Beirut. What Ashekman is doing on t-shirts and Halwani on walls is more meaningful than all that pretentious, brainless contemporary ‘art’ in bourgeois galleries. After reading this, I truly feel like an artists. The concept of an artists having a strong belief resonates with me. Even if you are an engineer who believes in making cars, that is an art too. Or like me, I want to change the world by making people healthier. Great post! Very insightful.